CADskills designs and manufactures patient-specific implants. When a standard treatment approach is unavailable or not optimal for a specific patient or pathology, a personalized solution needs to be found. 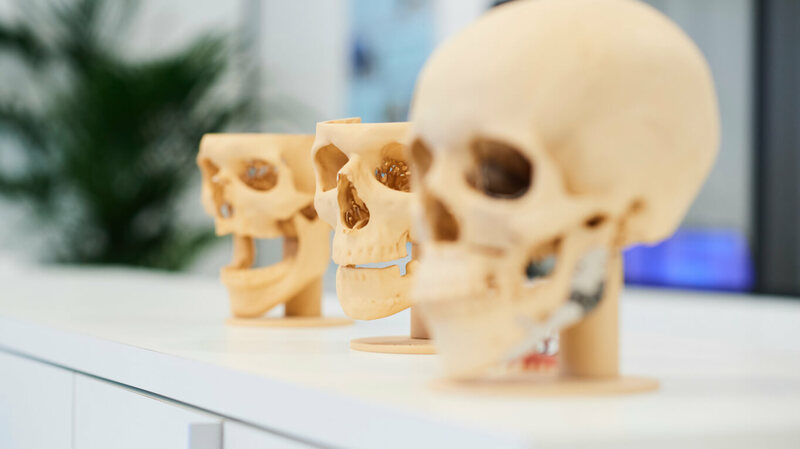 Utilising a CT or CBCT scan, CADskills will produce an implant that fits the patient’s anatomy perfectly. Even the function of the implant can be personalized as well. Together with the surgeon, we develop the best solution for a given case. The company CADskills, started as an idea that grew in the operation theatre, from clinical needs. The surgical community needs a one service provider with a multidisciplinary team, instead of having to cooperate with different medical image software providers and several CNC milling companies. As additive manufacturing (3D printing) was becoming reliable and affordable, its use in the medical field was an obvious step,with the scan dataset of an individual patient as a basis for the design. Prof. Dr. M. Mommaerts will talk about "Facial contouring using patient-specific implants" in Madrid. 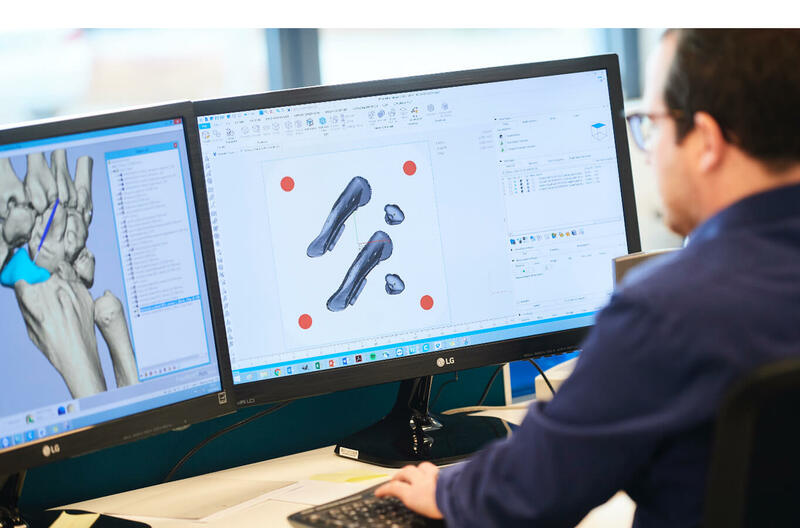 CADskills collaborates with MedTech for CNC finish of titanium 3D print implants. CADskills collaborates with Surgi-Tec for CNC finish of titanium 3D print implants.